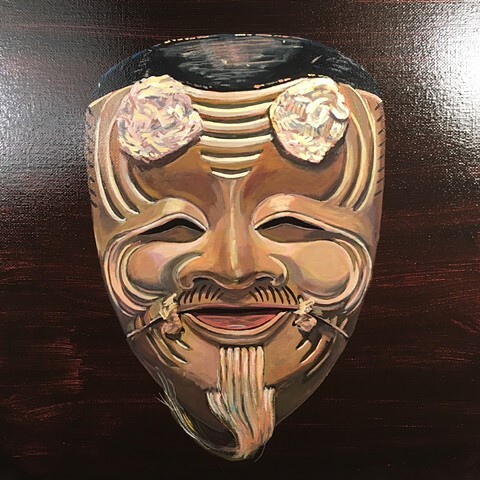 The Japanese Okina or Hakushikijo mask is a happy old man symbolizing the country and world at peace, bountiful harvests, long lives and prosperity. Pompoms of hemp attached to the eyebrows. The lower jaw is hinged.